Find out the best Instagram accounts for minimalism and decluttering for a fresher, more spacious home. Minimalism and decluttering is a response to the intense effects of consumerism causing all of us to have too much stuff, or to care too much about having stuff. Daily inspiration to think more about what we do bring into our lives in the form of stuff, is a really great way to be conscious about the space around us: our homes and the earth. Instagram has plenty of people offering easy and digestible tips and examples of leading a neater life. Of course, there are millions to choose from, and you should be browsing #minimalism #zerowaste #scandinaviandecor #mariekondo regularly. But in the meantime, we have saved you a little bit of time and sorted out 5 of the best minimalist and decluttering accounts for you to get straight into on Instagram. This account has created an online community for minimalists and a really nice showcase of daily inspirational posts. It does a great job of representing the younger generation of minimalists and what the movement looks like right now. Bea Johnson runs this incredible account which serves to provide useful tips on becoming zero waste. Of course a nice home doesn’t have to mean being zero waste but creating less waste is certainly a conscious way to live. This Netflix sensation of course has a stunning Instagram packed full of cluttering tips and inspiration. At the very least, seeing a post by Marie coming up will bring you straight back to that inspired feeling you had watching her programme, the one that had your clothes folded and thanked at speed. The story of Joshua and Ryan is available to watch on the Netflix documentary Minimalism: a documentary about the important things. Their Instagram projects their message of moving away from consumerism and living the most simple life. So, it makes for the perfect inspiration to see daily, as well as connecting you with their blogs and other sources of information. This account is incredible as an all-round inspiration for decluttering, minimalism, zero waste and practical living. 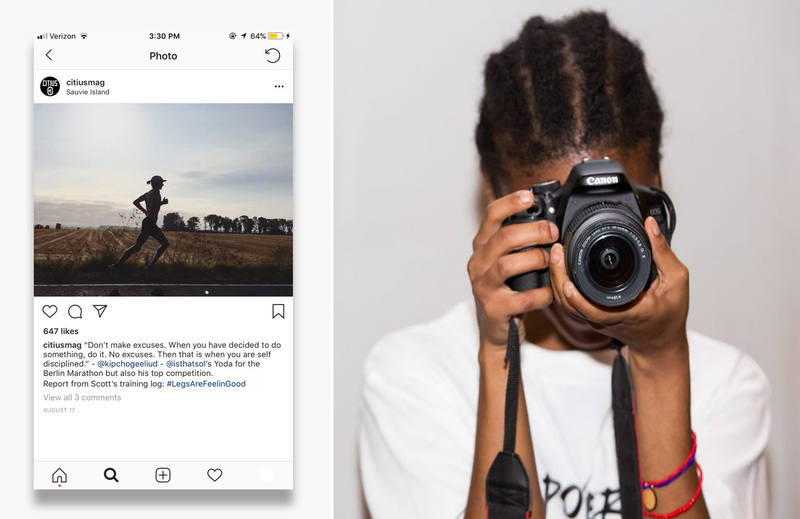 The look of the images is stunning but the captions are the real value, with lots of tips and tricks, food for thought and a connection to the minimalism community on Instagram. Finding a home builder is a complex process because it is a long term investment, you must be smart when choosing builders that are professional enough when in charge for building you a habitat in which you are going to invest a lot of money, and hope for spending a lot of perfect moments with the people you love in the future. In a fact, once you’ve decided to invest into building a luxury home, you are supposed to choose the team that can be in charge to provide you a quality service which will meet your standards and criteria, and yet, won’t disappoint you when it comes to their performance. But since you must do a bit more than simply hiring the first company that will pop up into your search results, in this article we will build you a guide that will help you choose the perfect agency that will be in charge for making your luxury and sophisticated dreams come true. And if you need further guides over the provided steps, you can click on the following link https://www.forbes.com/sites/forbesrealestatecouncil/2018/03/16/seven-key-factors-to-consider-when-building-your-home/#44e2a66832ed and use it as an additional guide. For many people, the procedure of making a customized place to live is what brings the struggle in the game, and if you are willing to put aside the bad feelings, you must make a plan over each activity taken. It means that first you are in need of having an idea over the things that will be transformed into a real home. But of course, you aren’t supposed to seek for unachievable things, and during the procedure, you are supposed to think over the stuffs which can be made in correspondence to your budget. That’s why, the process in which you are supposed to plan a budget and make sure that you are in pursuit of all the money which are in need for fulfilling your aesthetical desires. Once you have developed a well-made plan over your budget, and yet, you have a perfect image over your desires when it comes to building a home – you can move towards seeking the right builders that will be professional enough with the things and make sure that you will have a perfect home build with a sophisticated style. And if you are in need for more ideas over the way by which your luxury home should look like, you can click here and get inspired by the beautiful designs provided in the articles. Read about the different aspects of wood effect tiles and how they can be used in various applications within the home. Wood effect tiles have in the past been a poor alternative to the real thing. The kind of tile that when you look at it, is clearly not wood, and is in fact a poorly printed alternative. With advanced printing techniques, wood effect tiles are an absolutely incredible choice compared to the real thing, providing a cost-effective alternative that looks just as warm, natural and beautiful as real wood, but with the benefits that come with tile. The best thing about wood effect tiles when it comes to home decor? It enables you to use the stunning effect of wood, in wet areas like the bathroom. Wood effect tile means your bathroom can have all the benefits of wood, without any of the drawbacks associated with the real thing. What Are Wood Effect Tiles? Wood effect tiles are usually porcelain tiles that have a detailed wood design printed on them. They can come in square or plank shapes and often, large format tiles are used to create a wood effect floor or wall. Wood effect tiles, as they are made from porcelain, hold all the benefits of porcelain tiles too, such as high durability, low cost, versatility in design and placement, and ease of application. 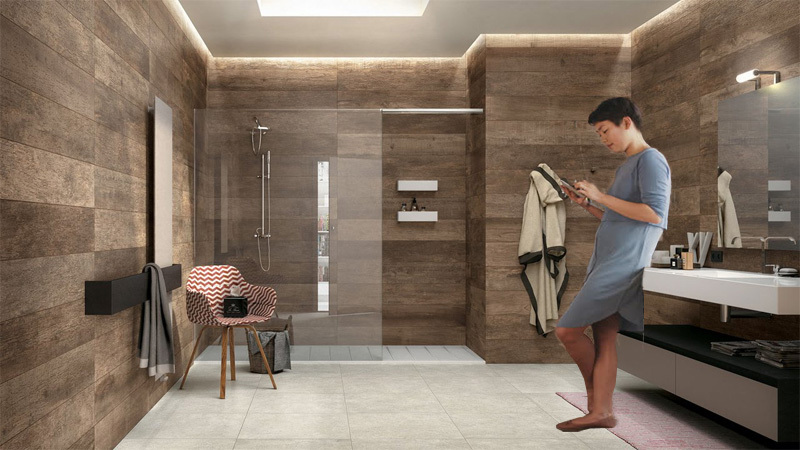 Why Are Wood Effect Tiles Perfect For The Bathroom? Real wood is an amazing material to use in a home decoration project. It looks gorgeous and often comes with additional benefits, such as cedar which smells incredible and adds an earthy feel to any room. The problem is, real wood does not work in every type of room, in fact it is a very bad idea for some rooms, such as bathrooms. Water and wood do not go together because bathrooms can change in temperature regularly. Wood doesn’t deal with temperature change well and can swell or shrink depending on how cold or hot it is. It also absorbs water and can swell because of steam or exposure to splashes or damp. Wood effect tiles mean that you can have that stunning, natural look associated with wood, but without any of the issues associated with real wood. When you have a porcelain tile with a wood effect printed on, you get all the benefits of porcelain tiles but with that stunning natural wood look. As a committed lubricant supplier in VA Greenleaf Filtration has prided themselves on being your source for “industrial filtration.” They definitely want to continue along that path, but they realize that filtration continues to evolve as new technology progresses. THey realize that providing solid lubricant supplies is a great start for continuing to stay relevant in this day and age. With that being said, one of the things this company specializes in would be synthetic lubricants. Synthetic lubricants are known to have many advantages. Ask any lubricant professional at Green Leaf filters, and they will tell you that there is an immense amount of advantages inherent in using synthetic lubricants. First of all, they are known for reduced maintenance costs. They often are known for an extended shelf life where they work hard to keep all of your systems free of varnish, sludge or other pollutants. Synthetic lubricants are also for reduced consumption. The reduced consumption these synthetic lubricants can offer is truly a great thing. This is because they can help consumers money. Not only that, but they also can also provide an increase in thermal stability and low volatility. Synthetic lubricants are known for their safety in operation and for their gentle effect upon the environment.